“The End Begins”: what if today’s headlines became tomorrow’s history? 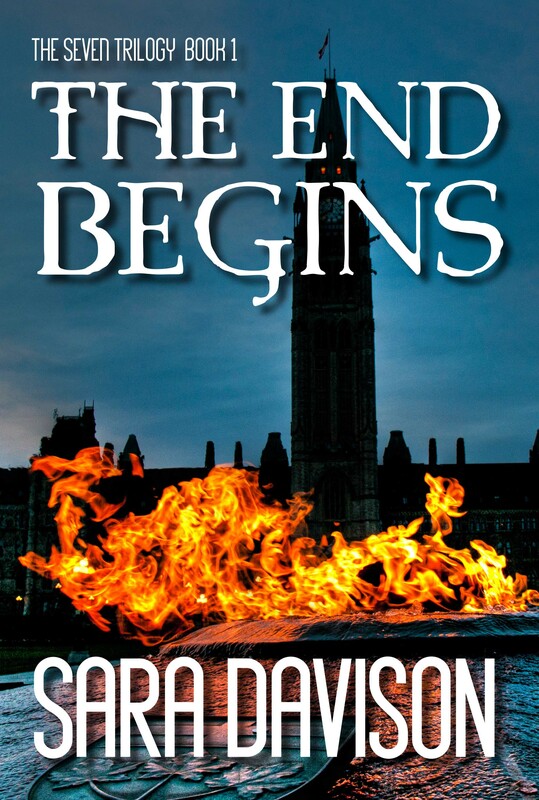 All you have to do is read the news headlines to realize Sara Davison’s The End Begins isn’t that far-fetched. Terrorist attacks on October 10, 2053 make 10/10 as significant as 9/11. The key difference? On 10/10 a group of radical Christians blew up seven mosques across Canada leading, of course, to the legal persecution of Christians. Meryn O’Reilly, the heroine of The End Begins, runs a small, independent bookstore in Kingston, Ontario, which also happens to be home base for Army Captain Jesse Christensen. Sparks fly when the two first meet: the day the army invades Meryn’s church on orders to keep an eye on potential radicals. Christians are subsequently threatened with arrest, incarceration and/or punishment for “terrorist” activities such as owning, selling or hiding now-outlawed Bibles. Meryn runs afoul of the law, and Jesse, as sparks fly with each subsequent encounter. Since this is a romance/suspense/speculative fiction novel, the sparks are as varied as the circumstances that lead to them. This, however, is one of the problems with The End Begins. Davison’s first novel, The Watcher was a suspense novel with an element of romance and resulted in a better read. The futuristic setting of The End Begins adds the problem of science fiction elements like the “i-com” communications devices. As an avid science/speculative fiction reader, I’ve always had a pet peeve with writers who try to come up with futuristic devices that either mimic current technology or seem illogically far-fetched. There were times The End Begins reminded me of the cheesy late 1970s end-times movies A Thief in the Night and A Distant Thunder. And, unfortunately for a suspense novel, Davison tends to telegraph plot twists. I guessed, with the introduction of one character, what should have been a key surprise later in the novel. Davison shines in character and relationship development. Meryn, a devout Christian, chafes at the legal restrictions placed on her. Jesse, an agnostic, runs away from the faith of his parents to his own dark night of the soul. Davison deftly avoids letting the conflicted attraction of this couple devolve into romantic cliches. She also creatively crafts the collision between Christensen’s head and heart, symbolized in the conflict he has with his commanding officer, and best friend, Major Caleb Donevan. By setting The End Begins in the near future, the speculative fiction components of the novel clouds the clear focus of the book’s romance and suspense. In spite of these flaws, the novel is well worth reading – if only as a warning about what could happen if today’s headlines become tomorrow’s history. And, as the first book in “The Seven Trilogy” it will be intriguing to see where Davison takes her characters.